There will be 10 men's boxing weights at London 2012 and, for the first time, three women's events will join them on the card. The new women's events are at flyweight (48-51kg), light-welterweight (57-60kg) and light-heavyweight (69-75kg). The Olympic boxing competition allows each country to send up to 10 men and three women (one boxer per event) to the Games. To take part, athletes must have been born between 1 January 1978 and 31 December 1995, making 16 the minimum age for competitors. Unusually, men's qualification for the 2012 Games is led by the World Series of Boxing (WSB), a newly introduced professional tournament which allows boxers taking part to retain their Olympic eligibility. This is a matter which, in the past, has frustrated amateur boxers eager to turn pro. Now, the boxers ranked first and second from previous WSB events will compete in a WSB Individual Championships in May 2011 - the winner of that qualifies for London 2012. Boxers qualifying this way must nominate their Olympic weight category of choice after winning, since the WSB categories differ from those at the Games. This is followed - more traditionally - by the 2011 World Championships, in Korea in September, where the top 10 boxers from different countries in all events (except heavy and super-heavyweight, where that number is six) earn places at the Games. Women's qualification is dealt with entirely by the 2012 World Championships in Chongqing, China in May of that year. There remain 19 invitational places to be offered after other qualification routes have been exhausted. No British boxers will be involved in the World Series of Boxing, so that minor qualification avenue is shut off, but that is not expected to have any impact on what should be a sizable British team at London 2012. Female boxers to watch out for on the sport's Olympic debut include Savannah Marshall in the light-heavyweight category and Natasha Jonas at 60kg. 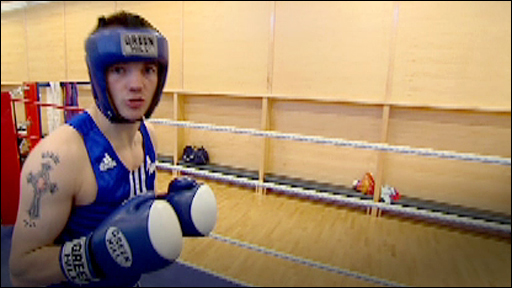 Britain is at least guaranteed five male boxers at the Games and one female entrant, by virtue of being the host nation. GB has yet to confirm to the world governing body, the AIBA, which weights it will choose for those places. 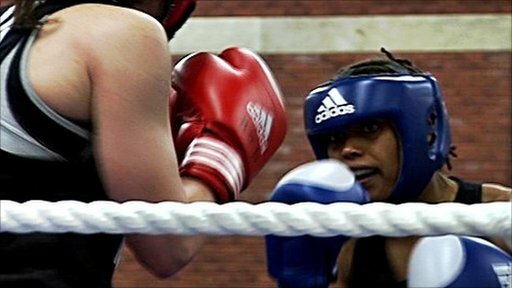 Matthew Archibald, Boxing Manager for London 2012 organisers Locog, has written an in-depth breakdown of how the boxing qualification process applies to the British squad.